Just a quick note of thanks to the words of encouragement from you fellow good golfers and hacker golfers out there. Not long after I made my journal entry about failing to accomplish much of any of my 2016 golfing goals, the universe seemed to take pity on me and I stumbled onto a friend who belongs to a group of guys – some hackers some quite good – who play once a month as a kinda club. He invited me out. And I actually took him up on it instead of hiding behind some excuse that was really disguising my fear of having to display my lacking abilities in public (I’m always coming up with excuses). Talk about rare. I decided to say “Yes” to the universe this time. I played 18 holes at the Half Moon Bay Golf Course right next to the Ritz Carlton (beautiful place) south of San Francisco on a gorgeous Saturday last last weekend. Don’t ask me how I did. This was a binary victory. Did I play – Yes/ No. Yes – you win! I am getting some more motivation. And I actually struck my first shot – a 3 iron on a Par 4 dog-leg left perfectly. And then it went down hill – but overall, not too shabby. Fear is such a big resistance engine. I’ve just gotta get over myself and my fear. Turns out – nobody really cares as long as we have a good time which we did. Next step: re-evaluating my stance. I think my stance is too narrow. I was flipping thru an instruction handbook and it recommended that you drop a club from each shoulder straight down and your heels should be just outside of the line where it lands. If so, I’ve been depriving myself of stability with a way too narrow stance. Anyway – that’s all I got. Next stop – signing up with the NCGA and working towards establishing my official handicap number. Yuck yuck – I’m such a comedian. “Well it’s another New Year and I have to stare into my mental mirror and be honest with myself while trying not to extinguish any new flames for getting back onto the golfing saddle so to speak. Last year I set out some serious goals that I thought would be easily attained in terms of improving my golf game. One of them was to play in a local tournament before the year was out. While on our way to San Diego for a little sun and warmth, my daughter asked me if I had accomplished this simple goal and I had to reply, “No.” I then heard all of my words of advice offered up to her freely in terms of improving at playing the Viola or mastering Calculus assignments or completing her Girls Scout project – how genius is 1 percent inspiration and 99 per cent perspiration, how putting in the time and making important things a priority in one’s daily life is essential for success at anything…. and all the other sage words I offered to get her through her fall school semester. But NO – Bupkiss – I failed. I failed to get myself where I wanted to be by December 30, 2016. I didn’t practice at the range, I didn’t play the easy 9-hole course only 10 minutes ways, I stopped watching Golf Academy, I let my Golf magazine subscription lapse and my clubs gathered dust. And then. I thought a little harder. But you know? Now that I stop and think about it – HOLD ON! It wasn’t a complete wash. I did make some forays and I did check some boxes. I signed up for lessons and took 4 out of the allotted 5 lessons. And for about 5 weeks I did practice routines that the instructor suggested and did some of my own investigation and work on my balance, foot positioning and swing. I got a pre-paid key for the ball machine and use up half of the $100 dollar allotment. I picked up a new Titliest pitching wedge 56 degree. And I did spend a lot of time online watching Hogan’s and Palmers and Oosterhuis’ and other players’ golf swings ( to see whose body type most matched mine and what they did with it). I gave a ton of thought during meetings at work or while waiting in the security line at the airport on weight shifting and stuff like proper posture and how nothing should be hurried in the backswing. And after a lot of thinking I actually arrived at a conclusion: That I had yet to settle on some of the best basics for my swing – namely my grip and my posture. As much as I like the pinky grip because it feels more secure, I think it wasn’t allowing me to grasp the club properly with my forefinger and thumb. SO I played around with it – starting around October. And recently decided to experiment with the overlap grip. It wasn’t entirely comfortable at first but it did make me feel like I had more control and consistency in maintaining a firmer but more supple grip all around. I also decided that I was bending over too much – and definitely from the waist instead of from the hips and, most importantly, that my lower back was not as straight as it should be. So I started practicing around the house – bending at the hips and settling into a position that had my back-end pushing out as if I was just getting ready to sit down. And I read and Googled more on it and went to the range only a few weeks ago standing taller and more erect. While there, I also flared my left foot a little more to help with some rotation and I tried to keep my chin up a little more in order to really allow room for my shoulders to rotate – something I fail to do a lot but which can really mess with my arc causing a lot of adjustments in the downswing and often making me hit turf before ball. And, You know what? My first 2017 practice swing at the range with my new Titliest pitching wedges was delicious. And this was after months of not practicing but just mentally and randomly working on some fundamentals until they made sense. There I was after a long time off the range and I hit several shots that really felt good. After striking a bucket of ~80 balls I had maybe 8 shanks or flubs. 40 swings resulted in fairly straight solid trajectory paths with respectable arcs across my wedges, 8-iron and 5-iron. About 2 strokes were super sweet with the ball flying like it wanted grow feathers and keep going and with barely any sensation on the club head. The rest were pulls or pushes but they stay relatively on course and, considering how long I’d been off the range, I could not be disappointed. Frankly I was pleased. Basics are the 80/20 rule of work. To go beyond is not advised until you have them down and sometimes it worth taking one step back in order to get those fundamentals down. Don’t be so hard on yourself – the past is the past and having a short memory actually can be a good thing in most cases. Because in order for the future to be bright there’s no harm in letting go and getting started again today. And sometimes even when you can’t check the box on a big goal you may still be able to point to a few steps in the right direction. I further thought that this type of thinking is exactly the kind of advice anyone can use when pursuing just about anything including trying to kickstart a start-up company, design a self-driving car or write that great American novel. If at first you don’t succeed – try, try again. Failure and false-starts go hand in hand with perfect passes, winning touchdowns and eventual Super Bowl victories. And with that – I re-committed. I’m Back to the Future and I’m headed back to the golf course! Confidence and the ability to ‘get ‘er done,’ comes from constantly looking forward and letting the history a mistake or a bad decision or a lapse in performance be exactly that – history. 20/20 hindsight often offers little except stoked fires of regret, resentment and self-degradation. I think this viewpoint also applies to my journey of trying to get to a point of comfort playing golf. A journey that’s always exacerbated by the time commitments of working overtime in the grueling new technology economy that’s fast-paced and where often the phrase ‘everything is new and has never been done before,’ stands as the crucible of what it means to be a worker in Silicon Valley. And that applies to start-up founders as well as your run of the mill everyday employee. I’ve had the luxury of being both. This experiment called Silicon Valley is quite amazing if you stop and think about it. Even though there are many huge billion dollar companies in the Bay Area – many of them are no more than twenty years old and that includes household names like Google, Apply and Amazon. Old-timers like Intel and Oracle are only twice as old thereabouts. Nothing here resembles the lifestyle, workstyle or pace of change found in more traditional last- century economies. And even behemoths like Intel are still relative newborns compared to most old-economy companies. The parlance around here often refers to ‘lava formation’ as the state-of-creation that makes up everyday life and the challenges inherit in learning how to build stuff that’s never been created before – to do something new, to learn new techniques, to improve on what’s been built and to look for that proverbial touchdown after making a series of mistakes – and failure and mistakes run a plenty in this former land of “Heavenly Delight.’ We just don’t ever hear about them. I was going to do so many things last year. I was going to be so discplined and get to the golf course and practice aspects of my swing and stance and grip while at home. I was going to get home training equipment. I was going to practice with a net in the front yard. I would get an instructor. I would play at least once a month and my crowning achievement would be playing in a tournament – any tournament! I hardly accomplished anyone of these goals – in fact, I hardly accomplished anything the more I looked backwards. My mental judger started issuing proclamations. What a loser I am. I’m never going to get anywhere. I’ve wasted so much time. Why should I bother? Making resolutions is a pointless thing to do. Thinking about making commitments for this year became harder and harder. And then something changed. I decided to focus on the present and realized how what I decided to focus on NOW could make all the difference in how I would feel one year from now and beyond. There’s nothing I can do about yesterday but I still can impact tomorrow by doing something now. One day maybe I will be a 65 year old Unicorn tearing it up in some senior tournament – who knows? But I won’t get anywhere worrying and feeling down about the past. My biggest challenge wasn’t to figure out where I went wrong but to make a decision to re-commit today. And I thought about the sports commentators. The difference between success and failure starts in the mind. Deciding to try again isn’t really that hard a decision to make. And after much trepidation, I did. Figures – this is the first year in a while that I didn’t volunteer for the Fry’s.com Open now sponsored by and called the Safeway Open. And this is the year Tiger comes back. How cool would it have been to track balls off the tee while standing in the fairway and sending the GPS coordinates back to the broadcast booth – probably one of my favorite jobs as a volunteer- it can get crazy sometimes when the register doesn’t have the players’ clothing colors correct or caddie bibs are miss matched etc. so it’s hard to tell who is who using binoculars and getting your measurements in on time before they take their second shot….Still it’s a blast and you get to work in pairs and share your love of golf stories with another amateur. 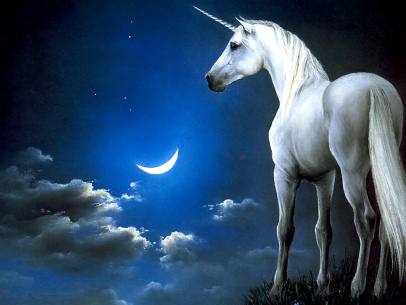 Out here in the Valley all the news is always abuzz about a new start-up that’s become the next “Unicorn” – that rare little 4-person operation that started in a garage with just a twinkle of an idea and little faith and lots of chutzpah and a desire to change the world – and then Boom! “It’s a Unicorn! !” an unbelievable entity of the likes of Google or Instagram or Facebook Uber or whatever. One day you’re like “Who?” and the next day everyone is using that smartphone gadget or uploading photos using that must-have app. I think many of the qualities that are required to make it as a start-up founder (or start-up marketer for that matter – my bailiwick) are quite similar to the one’s that make for a pro golf contender. Very few that apply to one don’t apply to the other. Here are some of the mental game qualities I heard Sir Nick mention in the commentary before the start of the final round this past Sunday. Life is golf – golf is life, is how I see it. Courage – Whistling Straits demanded it of all players. There was no room for error. the Penalty for missing the fairway or the green were scary and sometimes insurmountable. Courage and conviction with one’s shot selection and swing were key. An Uncluttered Mind (Focus) – is how Jack Nicklaus described Jordan Speith, according to Sir Nick, and his ability to play consistently and to bounce back from a setback. Setbacks are common when building a startup. Set-forwards, if you will, are called “pivot-points” around here. It means staying positive while learning from one’s mistake and making adjustments and coming back even stronger. Jordan’s greatest quality perhaps is his ability to stay clear of mind and light spirited and to keep his mind uncluttered. Visualize – you’ve heard it all too many times but you need to see your future in order to make it happen just right. Same thing with the golf balls trajectory. See it and believe it and chances are it will become. No fear – I guess that’s the brother to courage. It’s also a sticker found on many a car. And I guess that’s what Grateful Golfer’s friend had the other day when playing that impossible shot from deep in the woods. Right Intention – I thought Nick made a particularly rare point here. See the shot and adapt to the shot with the right intention. I think that means letting go of the negative and holding on to the real goal – which is to be your best self regardless of the circumstance. To not play from a place of anger or negativity. There’s a little bit of letting go that is a part of this – I think. On a mission – with all that said – you still have to have that Rocky Balboa attitude that you’re going after a goal and you’re going to make it. Can you hear the brass horns playing as Sylvester runs up the stairs? Often in the Valley we call it the “Stormin’ Normandy” mentality recollecting the beachhead strategy by the allies that required sheer will and determination despite the obvious downside to the strategy. Another way to say it is “By any means necessary.” This is about grit. This is about believing with your head, heart and soul and beyond. Nothing’s gonna stop you. Jordan seems to have this. Tiger had it (and I would argue, despite his lackluster results of late – is still really showing it, even more so because no one believes in him anymore and yet he’s still out there giving it the best he’s got). As serious as all this stuff seems to be – in the end, as long as we remain gentlemen and hold onto our integrity and play fair….. all of it, life, golf, startups, the daily grind, – all of it is intended to be fun – it’s really just a game. It just becomes really hard when we forget that. Did some front yard practicing today with my at-home practice station. Took out my SKLZ target netting, a fairly huge contraption but easy to set up (don’t worry I don’t use real golf balls – i use the perforated plastic ones instead), and tried out my new grips and tried to focus on some backswing drills that work on the CASH principle of trying to move/turn the clubhead (in other words – the wrists) first, then the arms then the shoulders and then the hips. I did a few swings slow motion but it was hard to think it through on a normal swing and I started to get all jumbled. 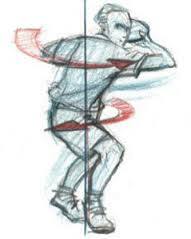 Then I remembered a thought I had after reading something online – about the swing really being all about the left arm. If you use the left arm to move the club instead of your right arm – you’ll have a better chance of guiding the club correctly. That’s the thing with golf – it’s such a game of opposites – swing down to get the ball up, focus on calming your mind instead of getting all pumped up, work on being more humble instead of brandishing your ego. When it comes to the swing – I’m figuring out it’s about using your non-dominate arm instead of getting power and control from your right arm (if you’re right handed). So I had a little Eureka moment. When i tried to focus on that – I came up with the thought of trying to throw a frisbee with my left hand. I was playing with the idea that the backswing and the swing all together is more like a left-handed backhand in tennis. I read that in one of the blogs or a magazine. And I always heard that the swing altogether is like trying to skip a stone across a pond or similar to a pitcher throwing a baseball. But the latter images made me focus on my right hand and action with my right wrist arm and shoulders. 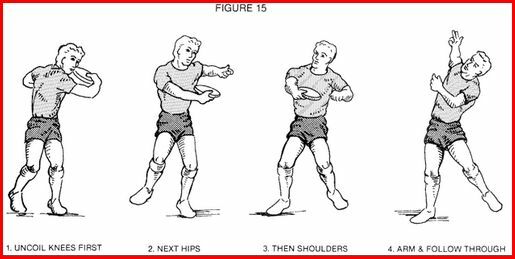 But when I tried to emulate throwing a frisbee with my left hand I sorta kinda really got the sensation of having to keep that left arm extended, turning my wrists at the right times and leading with my hips as I tried to shift from back to front. It was palatable and replicable and natural even if awkward. I also got the feeling that I could also emulate the sensation of trying to hit a nail with a hammer – something you hear many pros talk about when talking about the precise nature of getting the sequence for power right…the idea that you delay the striking of the hammer until just before you hit the nail much like you need to delay the club head from swinging forward until it comes back down below your hips. The whipping sensation came about naturally when I tried to swing like I was throwing a frisbee – because the speed of the frisbee comes from delaying the flicking of the wrist until the last moment. 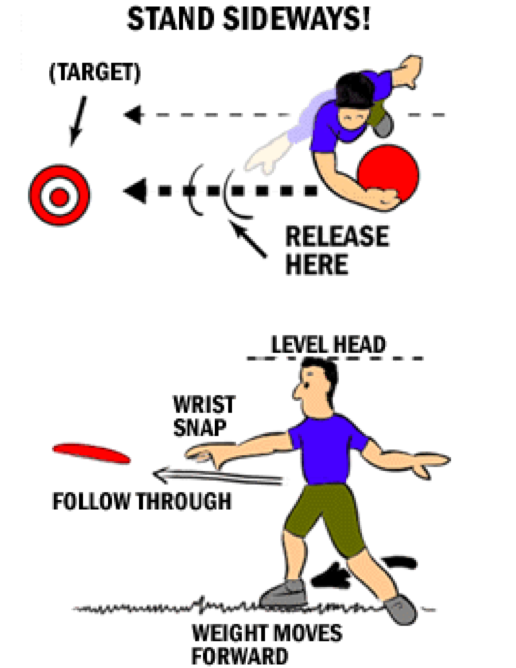 Anywho – the ‘throwing of the frisbee with my left hand’ seems to work conceptually for me much more so then trying to think clubhead, arms, shoulders, hips. So my practice session was useful in that regard. Now I’ll have to see if that sensation remains after a few more practices. But after several weeks of feeling like I haven’t started making improvements on anything except putting, this is a glimmer of hope. That’s golf for ya’. Just when you start to get discouraged, she throws you a bone and you’re right back in it like its the first day. Hazzah!! So I’m back into focusing on my game. I played 9 holes a couple weeks back and although it wasn’t a great round I did notice that the one area I did well in was my putting – which is the one area I’ve been focusing on since the beginning of the year. I can’t beat myself up too much because work’s been a grind and I haven’t been able to focus or practice much but I need to double down and re-look at my goals for this year. But it felt great having such a grooved routine that I didn’t have to even think about for my putting. I never 3-putted and I guess that counts for something. I’m almost done with my batch of lessons – my very first batch of lessons from an instructor EVER! – and I have to admit that the greatest benefit from this is that I swing all the way around in one full motion now – instead of decelerating or stopping short. My instructor’s been good with giving me mental thoughts and I’ve changed out my grips (per his advice) for the first time ever. Who knew? (common phrase for me it seems) but grips are like running shoes – you have to replace them every so often even if you don’t play with them – they dry out from use and/or age. At a minimum you should wash them often to get the grit off. So now I have a new set of Golf Prides’ that are a smidge wider than my older grips on my new/used set of Titliest DC9’s. And now I have a confidence that if I focus on a particular area of my game, I will see improvement over time – so I’m gonna focus on my irons. 3-9. Recently I read a GratefulG blog about the many resources available to us die-hards and I decided to take advantage of online videos and such to research how to practice my backswing where I have a lot of trouble sequencing club movement and staying on plane. It didn’t take long for me to realize that the real sequence evolves from thinking purely about the left arm’s movement and to think: clubhead, then arms, then shoulders, then hips when it comes to what rotates in what order. The acronym is CASH. Move the clubhead to 730pm on the clock face, then move the arms to 9 oclock, then turn the shoulders until the left shoulder is under your chin/chest over your right foot, and lastly turn your hips until your back faces the target. Also, I’m learning that the backswing is not where you get power – it’s just the set-up to get into position – like pulling the bow back before you release the arrow. Once I got the CASH thing in my head, I saw it every where – on TV, in magazines and in a ton of online videos so this is a fundamental that I need to groove into a routine. Anyway, that’s where I am for now. I haven’t written in a while but I’m gonna try and get back in the saddle for that as well. My Pittsburgh Steelers are playing tonight – whoo hoo! life is good. I love my new grips – they feel great. I shoulda done that a long time ago.